Teaching beginning readers how to decode CVC words successfully plays an important role in developing reading fluency. 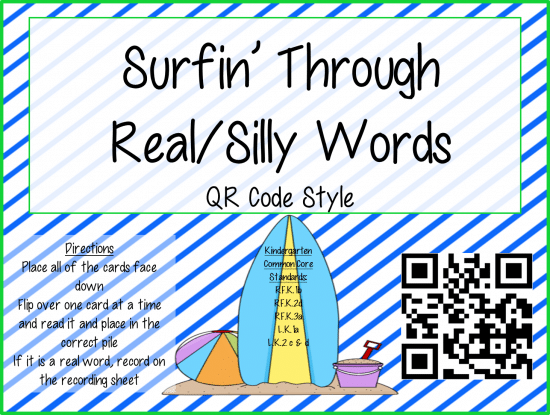 Here is a free printable CVC word sort with a surfing theme that will allow students to self-correct with the use of scanning a QR code. Pick a card and read it. Put in either Real or Nonsense Pile. Once finished, scan each QR code to check your words. Write down the real words read on the recording sheet. QR Code Audio Stories for the Whole Year!